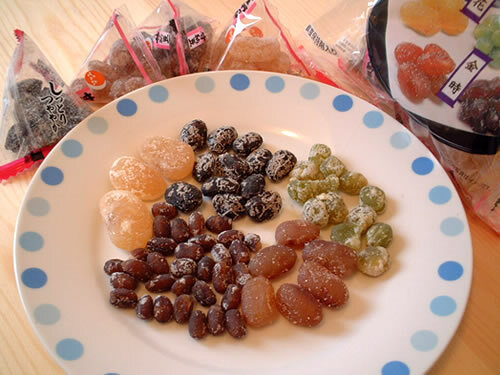 For whatever reason, the Japanese never displayed the kind of genius the Western world does when it comes to creating new and delicious ways to eat sugar or salt. This of course can be a good, or bad point, depending on your perspective. A 300 pound woman living in Florida who eats 2 liters of ice cream a day, and a 60 year old kendo master in Japan who eats only fish, seaweed and rice might have different views on the subject. But before things like potato chips, chocolate, ice cream and cake crosssed the Pacific, how did Japanese people satisfy those junkfood cravings? 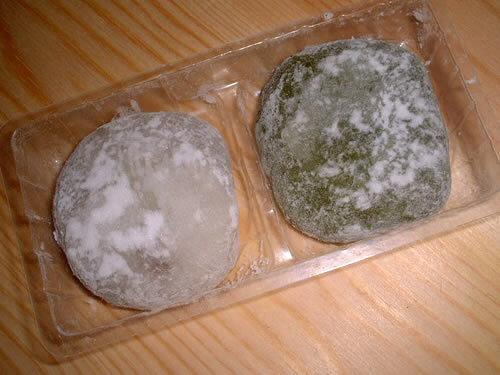 After trying some of the more famous Japanese traditional snacks I'd have to answer, 'With difficulty'. While nothing really comes close to replacing apple pie or chocolate chip cookies, it stands to reason that some junkfood inventions over here would at least be ok.
Perhaps not a true Japanese invention, but like so many other things, the Japanese have taken it and made it their own. 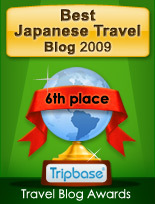 For reasons unknown to me, pudding is called 'purin' here in Japan. And while back home pudding can be any number of gloppy concoctions, over here the name is usually reserved for the egg-like, custard variety. 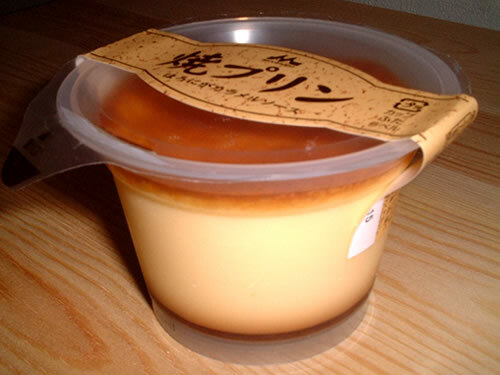 Here we have a 'yaki' purin, which means it's baked. Some come with whip cream on top but the egg custard in the middle, and bottom layer of caramel stay the same. You can either eat it out of the cup with a spoon, or if you want to be fancy, tear off the top, flip it over on a plate and serve it upside down (or right side up depending on your perspective). In a word, delicious. 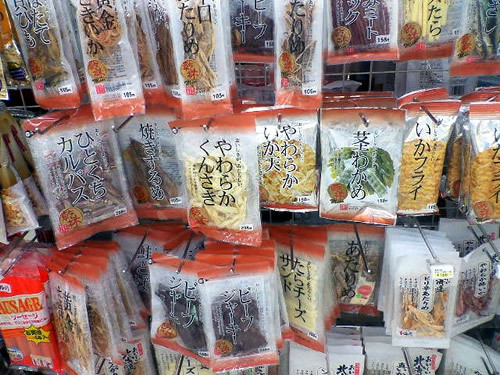 Given the huge selection of dried foods everywhere you might get the impression that the Japanese can't eat anything until it's been dried out. The food dryers seem to follow only one rule: If it can be dried out, it will be dried out. Not to put all dried food down though, some of it isn't bad. Other times though you wonder what the hell people were thinking. 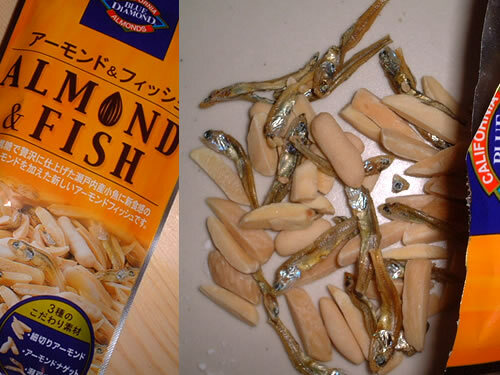 Almonds and dried fish is one of those times. If you like the smell of week old fish this one is for you. If you also like almonds, and (wait for it), if you've ever thought of eating them together, well hard to believe, but someone else beat you to it. Crunchy, salty and smelly all in one. Yes those are little fish complete with heads and eyes. 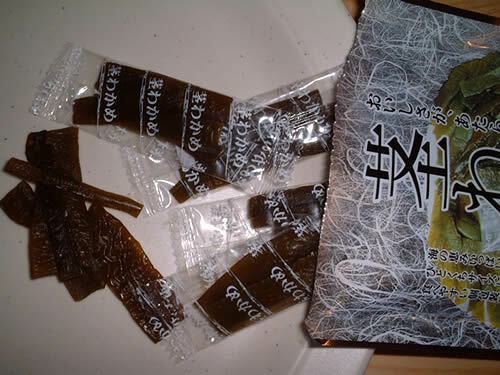 I suppose that it's theoretically possible that someone, somewhere might actually have a craving for seaweed and vinegar. 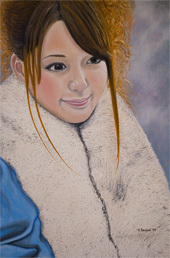 Has anybody met this person yet? Obviously they must be quite powerful as they've managed to convince some company to individually wrap up little bits of the stuff and market it. Tastes just like seaweed and vinegar. Bon appetit. Then there are the times where things just look bad, but are actually fairly edible. Looking more like deshelled cockroaches than food, these are chestnuts called 'kuri' over here. 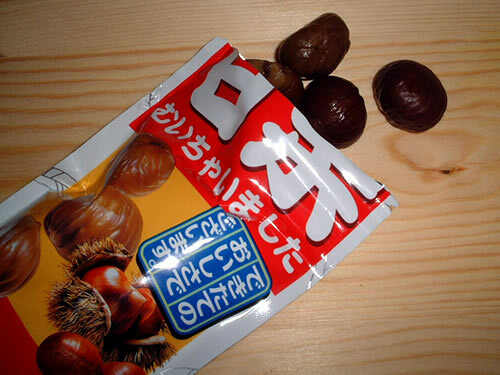 Although the package says 'sweet chestnuts', the term is used loosely. Actually they have a bland sort of taste similar to sweet potatoes. Not delicious but not that bad either. 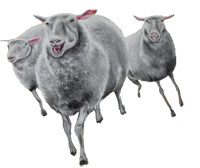 Also sold on street corners, they are accompanied by the distinctive stink they make when they are being roasted. Actually they're eaten in many countries around the world, I've just never tried, or really noticed them until I came to Japan.